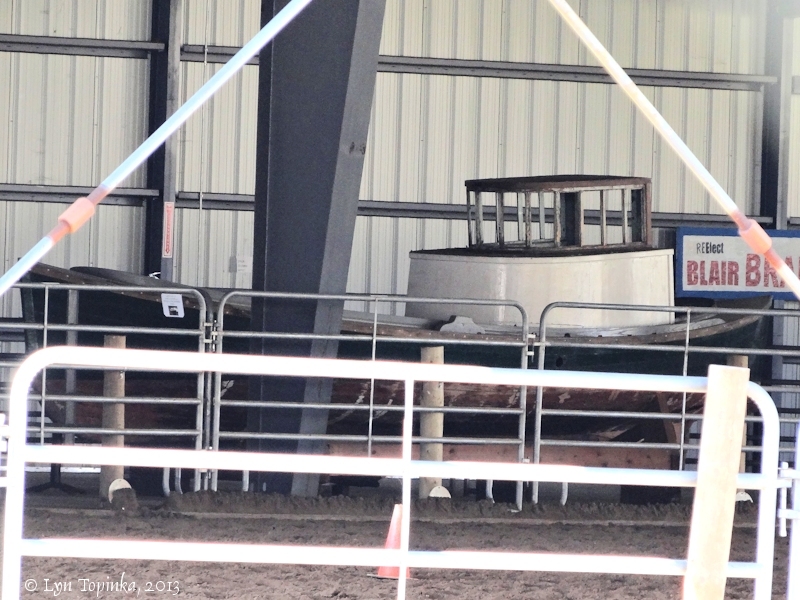 "Columbia River Gillnet Boat, Washington"
Click image to enlarge Columbia River Gillnet Boat, Wahkiakum County Fairgrounds, Skamokawa, Washington. Image taken August 15, 2013. 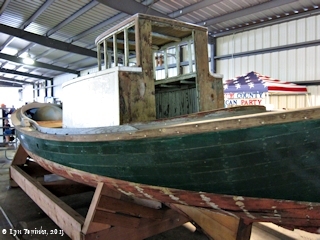 The 26-foot-long double-ended "Columbia River Gillnet Boat", now on the National Register of Historic Places, was built between 1913 and 1916 and was one of the first of the gillnet boats built for a gasoline engine. It worked from the Altoona Cannery. Currently (2013), the Gillnet Boat resides at the Wahkiakum County Fairgrounds, Skamokawa, Washington. 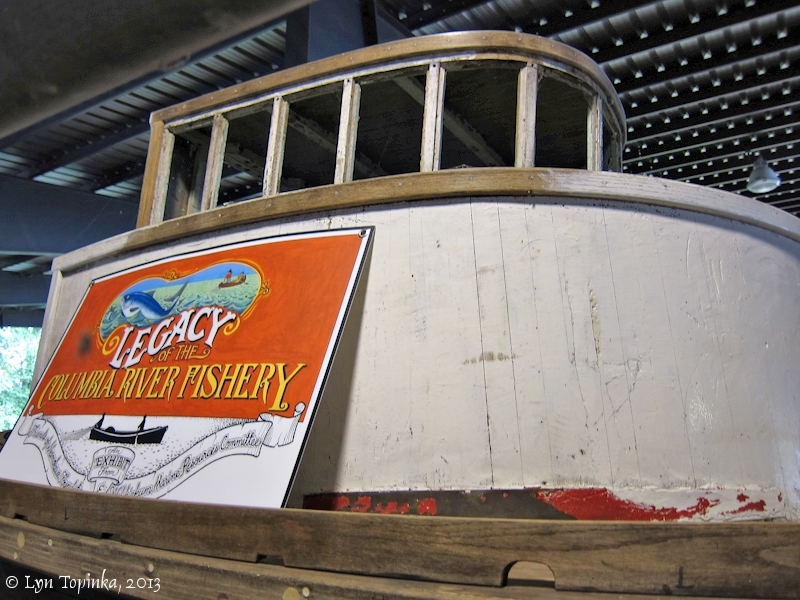 In 1978 the "Columbia River Gillnet Boat" at the Altoona Cannery was added to the National Register of Historic Places (Structure #78002783) as an important part of the fishing industry along the Columbia River between 1900 and 1924. Click image to enlarge HISTORICAL PHOTO: view of port bow, Columbia River Gillnet Boat, 1977. Image copied from the National Register of Historical Places Nomination Form for #78002783. Images taken by Jacob Thomas, March 1977. The double-ended design is particularly suited for fishing in rough water as such a small vessel has relatively little freeboard. With its net out, the boat drifts for considerable periods and is subject to the effects of waves pounding from either direction. 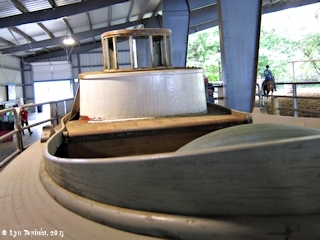 A stern design that divides the waves allowing them to pass on either side of the boat is more seaworthy under these conditions than one with a square transom that stops a portion of each wave abruptly. A large wave might wash over a square stern, where a similar wave would pass a double ended craft without any serious effects. With the introduction of the gasoline marine engine in the early part of this century, the use of sails in the gillnet fishery was slowly discontnued in favor of one cylinder inboard motors. At first, sailboats were simply converted by installing a gasoline engine, but shortly after 1910 boats were designed to be fitted with a motor and the sail was eliminated entirely. As there was no sail to interfere, these newer boats were equipped with a small cabin and pilot house, although they retained the same basic double-ended hull configuration that had been preferred for the past 40 years. ..."
Source: National Register of Historic Places Nomination Form, 1978, #78002783. "This nomination concerns an archetypal example of the gillnet boat built between 1913 and 1916. It has a length of 26 feet, a beam of 72 1/2 inches and a carvel-built hull consisting of Port Orford cedar planks on white oak ribs. The decking, cabin, and pilot house are also of cedar construction, while oak is used throughout the boat wherever increased strength and durability are necessary, such as in the keel, combings and guards, and in the bow and sternposts. The hull is double-ended or sharp at both the bow and stern, with a rounded V-bottom and a deck that rises gently fore and aft. 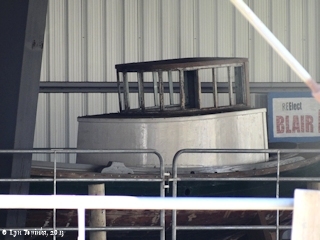 When viewed from above, the hull outline appears as a roughly symmetrical pointed oval tapering a bit more gradually at the stern. 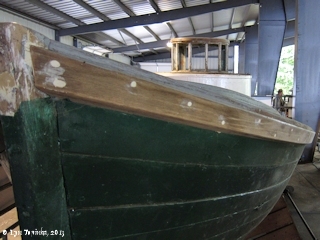 Oak guards rim the upper edge of the hull where it joins the narrow deck or washboards. 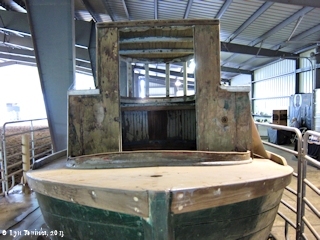 Along the inside, the deck terminates in a raised combing which flares outward crossing the deck at the fish locker just forward of the cabin where it forms a guiding edge for the net chute. The cabin and pilot house are positioned well aft of center to provide working space near the bow. Both structures are half drum-shaped around the front and square across the back. The pilot house sits atop the cabin like a clerestory or second tier providing a nearly unobstructed 180 degree view for a man standing at the helm. The engine, now missing, was originally mounted on the floor of the cabin. The earliest power plant used in these boats was a massive 5 to 7 horsepower, one cylinder, two cycle, gasoline motor weighing several hundred pounds. 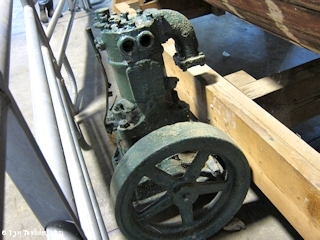 It is said that in the early years these engines were generally thought of as auxilury power due in part to their hard starting, lack of dependability and the high cost of fuel. They were mostly relied upon for running long distances or when bucking the tide. Otherwise the fishermen preferred to row the stout 25 foot craft. 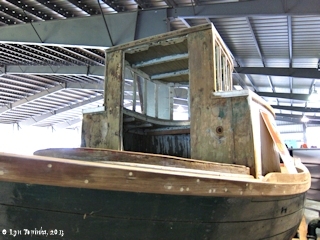 Although most other boats in use during this period were converted to gasoline motors, the construction of this boat indicates that it was originally fitted with an engine. The first commercial cannery on the Columbia River was built in 1866 on Eagle Cliff in Wahkiakum County. Until the early part of the century a great majority of the gillnet boats were the property of the canners on the River; they were rented to the fishermen which made it easier for men of limited means to work in the ifshing industry. The effect and in fact the purpose of this practice, was increased production in the canneries. 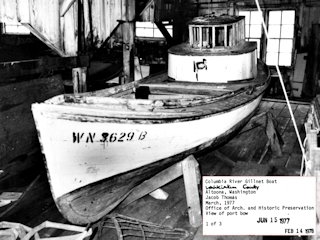 During the early years many of these boats were actually constructed at shipyards in San Francisco, although a significant number were built on the Columbia River, and some in boatyards operated by the canneries. The subject of this nomination is a gillnet boat that has always been privately owned. Constructed at the Wilson Shipyards in Astoria, Oregon sometime between 1913 and 1916, it was built for one of the owners of the shipyard which no longer exists. In 1917 it was sold to a Mr. Jacobson, who traded his sailboat for it because it had a motor. The chain of ownership since then has been established to the present." 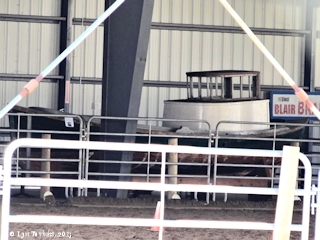 Click image to enlarge Similar engine as those used in the Columbia River Gillnet Boat, Wahkiakum County Fairgrounds, Skamokawa, Washington. This engine is a 4 horsepower, 1 cylinder standard engine, similar to the ones used in the early Gillnet Boats. Image taken August 15, 2013. 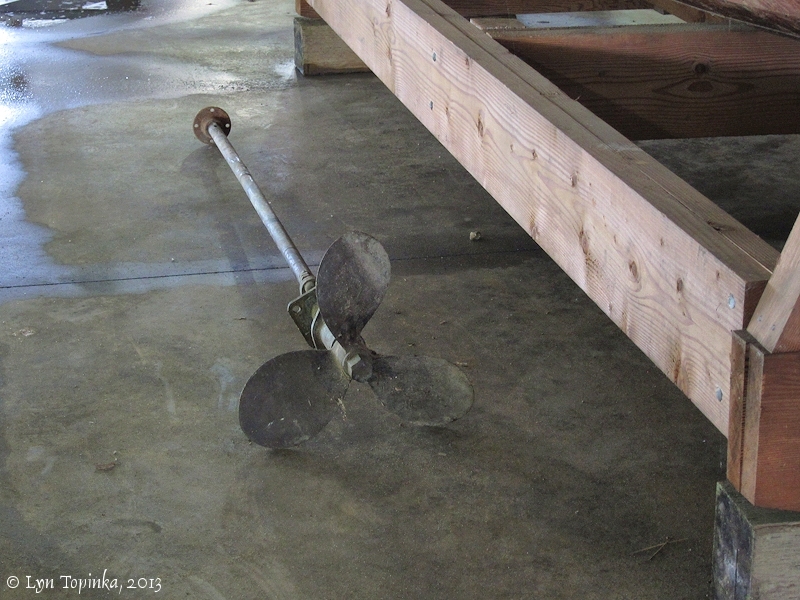 Click image to enlarge Similar propeller as those used in the Columbia River Gillnet Boat, Wahkiakum County Fairgrounds, Skamokawa, Washington. Image taken August 15, 2013. "I received some amazing information last week from Kayrene Gilbertsen. The Wahkiakum County Fair owns a double-ended Columbia River gillnet boat! 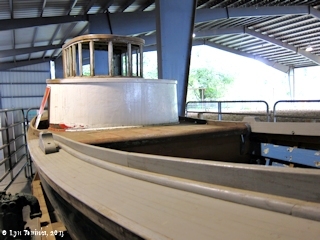 The boat was built between 1913 and 1916. 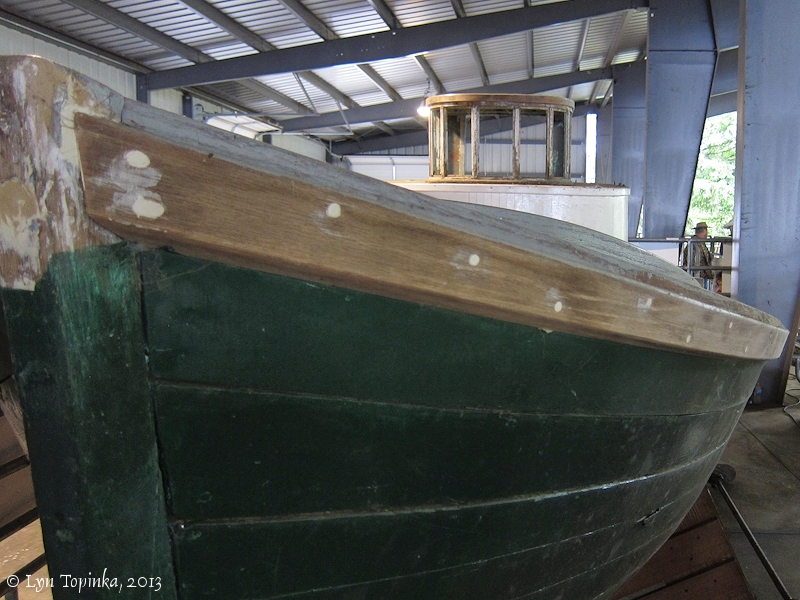 It has been stored for over 30 years in the Vista Park Port Shop in Skamokawa. Since we now have a gillnet boat, I spent some time reading up on these sturdy fishing boats. The double-ended gillnet boats were designed for fishing in rough water. We all know how quickly the Columbia River can become a white cap terror if you are in a small boat and the tide change wind starts to blow. On a double-ender, waves can come from either direction, the boat has a hull design that is sharp at both bow and stern. The hull divides the waves allowing them to pass on either side. 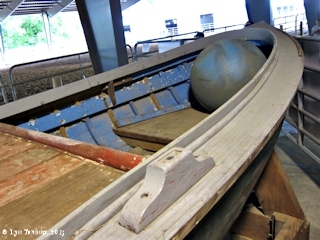 Fishermen in this boat could let out their net and drift for long periods of time even in bad weather because it was built to slice through the waves. The boat will be moved to the Fairgrounds in the spring and we will need help from our local fishermen to do this. I am looking forward to receiving calls from people in our community that helped restore the boat and can tell me more about its history." Source: Becky Ledtke, 2011, "What's Happening at the Fair? ", "The Wahkiakum County Eagle", November 3, 2011. "I have a little more information about our Columbia River Gillnet Boat. It was constructed between 1913 and 1916 at the Wilson Shipyard in Astoria, Ore. 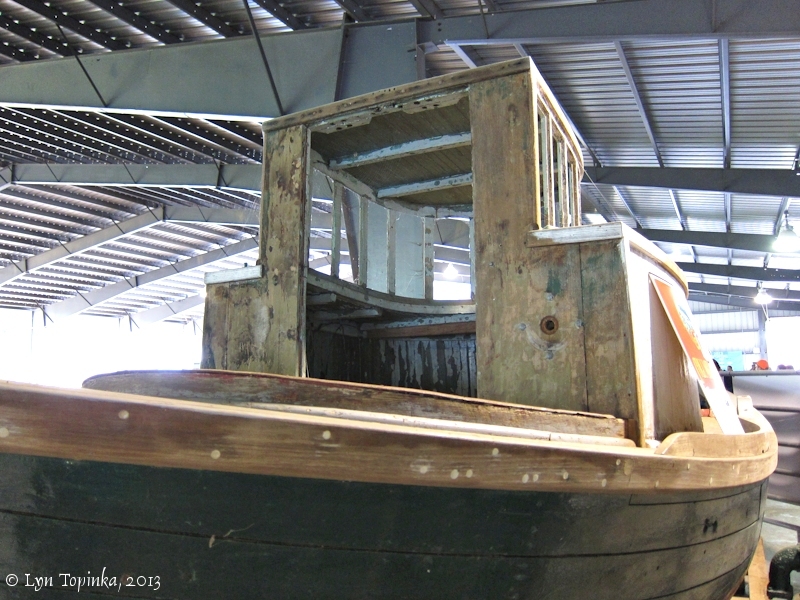 This gillnet boat was built for one of the shipyard owners and this shipyard no longer exists. Some more history about these boats--The first commercial cannery on the Columbia River was built in 1866 on Eagle Cliff in Wahkiakum County. In these early years, a great majority of the gillnet boats were the property of the canneries on the river. They were rented to the fisherman by the canneries, which made it easier for men to work in the fishing industry, as they didn’t have to purchase a boat. This practice kept a steady flow of salmon coming to the cannery with a willing work force always wanting to rent the cannery boats." Source: Becky Ledtke, 2011, "What's Happening at the Fair? ", "The Wahkiakum County Eagle", November 17, 2011. "Last year I promised the vendors that had booths during the fair in the arena commercial area that I would try to bring in a big exhibit that would bring more people by their booths. My dream was to display our gillnet boat in this vendor area. The Wahkiakum County Fair's double-ended Columbia River Gillnet Boat has been moved to the fairgrounds arena commercial vendor area! 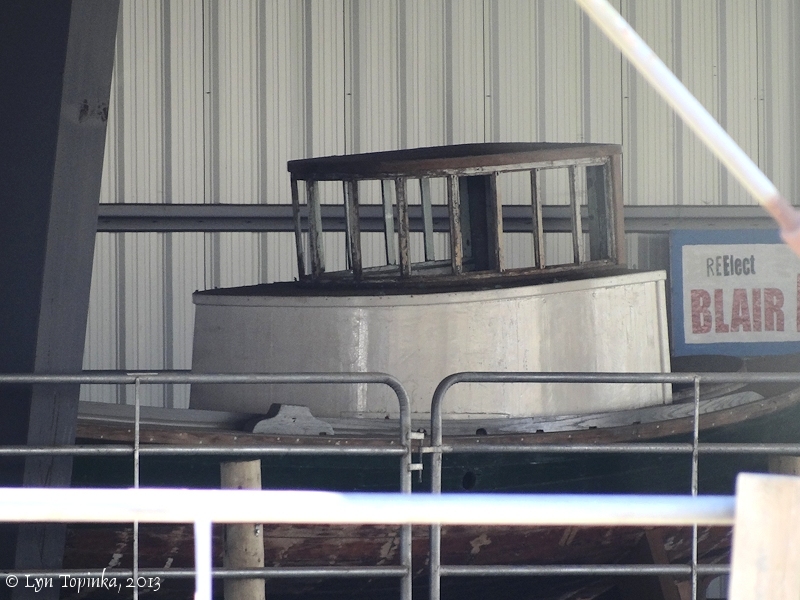 This boat was built between 1913 and 1916 and has been in storage up on blocks sitting in its hull cradle for over 30 years. On Monday, the gillnet boat was carefully moved into the display area by a few knowledgeable volunteers. Huge thanks to Bill Chamberlain, John McKinley and Dan Meader for tackling this project and making it look easy. To the crew that showed up to help position the boat nice and straight for the exhibit, thank you John Gustafson, Ed Stevens, Nick Brockway and Kent Martin." Source: Becky Ledtke, 2012, "What's Happening at the Fair? ", "The Wahkiakum County Eagle", June 28, 2012. Click image to enlarge Columbia River Gillnet Boat, in storage, Wahkiakum County Fairgrounds, Skamokawa, Washington. Image taken March 8, 2013.